Your first trimester of pregnancy is exciting, and you’re at the start of a beautiful journey. The team of expert perinatologists at TLC Perinatal PA offer first-trimester screening services at offices in Silver Spring, Hagerstown, and Germantown, Maryland, to make sure your pregnancy is off to a healthy start. Get a referral from your obstetrician to schedule your first-trimester screening by either calling one of TLC Perinatal’s offices or scheduling online today. After your obstetrician refers you to TLC Perinatal PA, you schedule your first-trimester screening appointment for your 11th-14th week of pregnancy. Your first-trimester screening checks your health and the health of your baby with blood tests and ultrasounds. The first-trimester screening identifies your baby’s risk of chromosomal abnormalities. About one of every 150 babies has chromosomal abnormalities, so your risk is low. However, knowing your risk early in your pregnancy allows your OB/GYN to provide the extra care and monitoring you and your baby need. During your first-trimester screening, you have blood drawn for maternal blood tests. The blood tests measure pregnancy-associated plasma protein-A (papp-A) and human chorionic gonadotropin (hCG) in your blood. During your first ultrasound, an ultrasound expert at TLC Perinatal PA measures the nuchal translucency in your baby’s neck. The nuchal fold is at the back of your baby’s neck, and its size can help your OB/GYN confirm how long you’ve been pregnant and is an early warning sign of chromosomal abnormalities as well as issues affecting the development of your baby’s heart, abdominal wall, and skeleton. Why do I need first-trimester screening? Your first-trimester screening provides an early evaluation of your baby’s health and any potential health risks, including chromosomal abnormalities such as Down syndrome. Having these tests early in your pregnancy allows your OB/GYN to consult with the MFM specialist to decide if further genetic testing is necessary and ensure that you get the medical attention and treatment you and your baby need for a healthy pregnancy and delivery. What should I do if my first-trimester screening is abnormal? If your first-trimester screening results are abnormal, don’t panic. These tests provide very little detail and are primarily used to determine if additional testing is necessary at different points in your pregnancy. After your obstetrician confers with the specialists at TLC Perinatal PA about your risks, you and your referring physician can determine if you need to schedule further tests. Abnormal results in your first trimester screening mean that you’ll need to schedule more frequent visits to your obstetrician so that they can monitor your health and your baby’s development carefully. 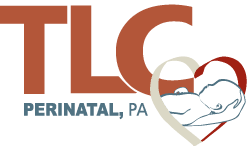 If you’ve recently found out that you’re pregnant, have your obstetrician refer you to TLC Perinatal PA so that you schedule your first-trimester screening by phone or online.